Pat Conroy's father, Donald Patrick Conroy, was a towering figure in his son's life. The Marine Corps fighter pilot was often brutal, cruel, and violent; as Pat says, "I hated my father long before I knew there was an English word for 'hate.'" As the oldest of seven children who were dragged from military base to military base across the South, Pat bore witness to the toll his father's behavior took on his siblings, and especially on his mother, Peg. She was Pat's lifeline to a better world - that of books and culture. Could not get past the narrator. 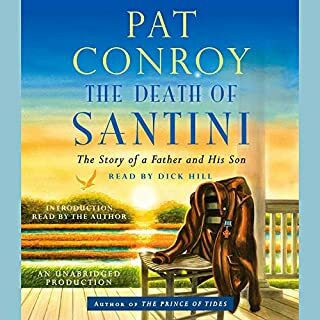 What disappointed you about The Death of Santini? I would have enjoyed having the option to listen to this book. I simply could not tolerate the narration. The narrator has a horrible style. Yes, he destroyed the book. It's a Pat Conroy work. I had to purchase the book and read it. I only wish I could get a refund for the Audible version. Lawyers often approach cases and clients as unique. Actually, we see similar fact scenarios over and over and we apply law that does not change in the short run. 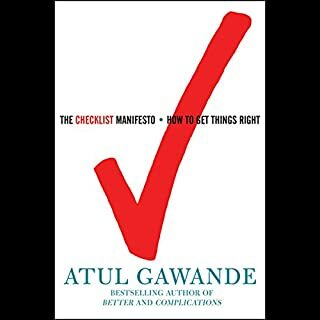 Atul Gawande suggests in The Checklist Manifesto,that a simple checklist works well in the surgical theatre and will work just as well in aviation, construction and in the legal environment. Gawande asserts and makes the case that a checklist can help each of us to manage the mundane and the complex. He supports the premise that in medicine, in law and in aviation, the problem is applying the training and the knowledge that we have consistently and correctly. He argues that failure results from ineptitude rather than from ignorance. While Gawande supports his premise primarily with examples from medicine he does include examples of the successful use of checklists in aviation and construction. His writing is current, including the emergency landing, "The Miracle on the Hudson River" in January, 2009, which provided an example of the use of simultaneously managed checklists for restarting the engine and ditching the plane. All in all, the book was written with clarity and it moved well so that interest is maintained. This book was well written and addresses a subject which has not been addressed often enough; the positive side of otherwise debilitating conditions. 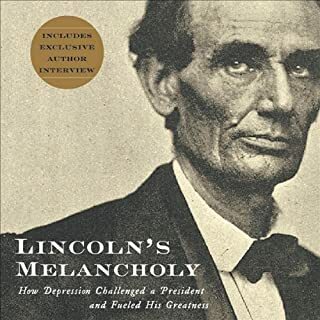 This book deals with Lincoln's melancholia like the book "Churchill's Black Dog and Kafka's Mice" addresses the "positive" impact of the bipolar condition in Churchhill's life.